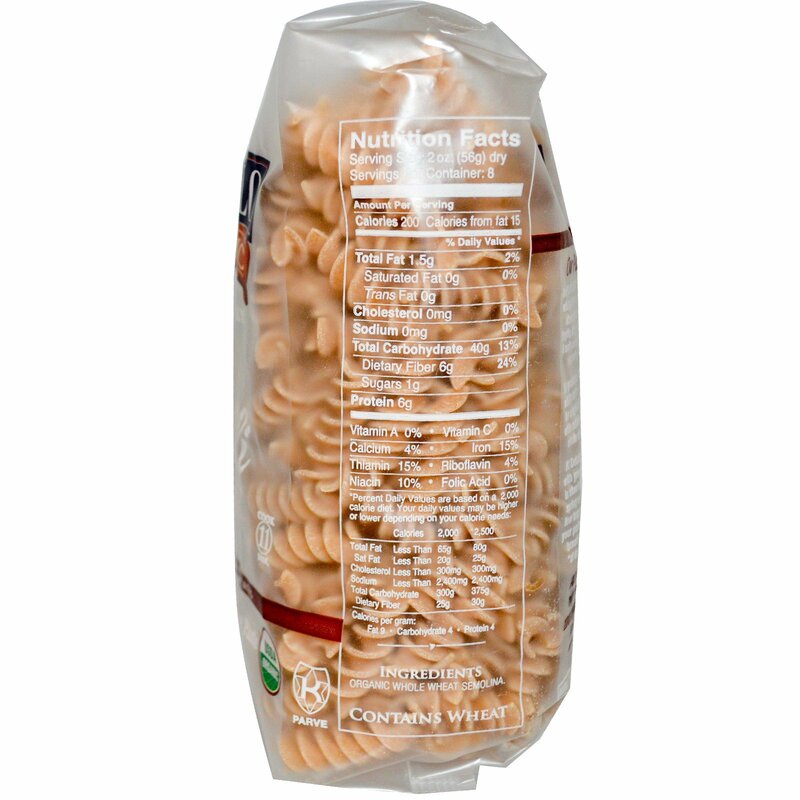 Our authentic Italian, whole wheat pasta begins in the durum wheat fields of Puglia, Italy, where climate & soil produce premium, organic grain. This grain is expertly milled with the texture of semolina for a superior feel & flavor, while retaining all its healthy whole wheat goodness. At DeLallo, we take time with your pasta. Our dough is slow kneaded with cool, spring water and dried at low temperatures, so that your pasta keeps its fresh-bread taste and cooks "al dente" every time. 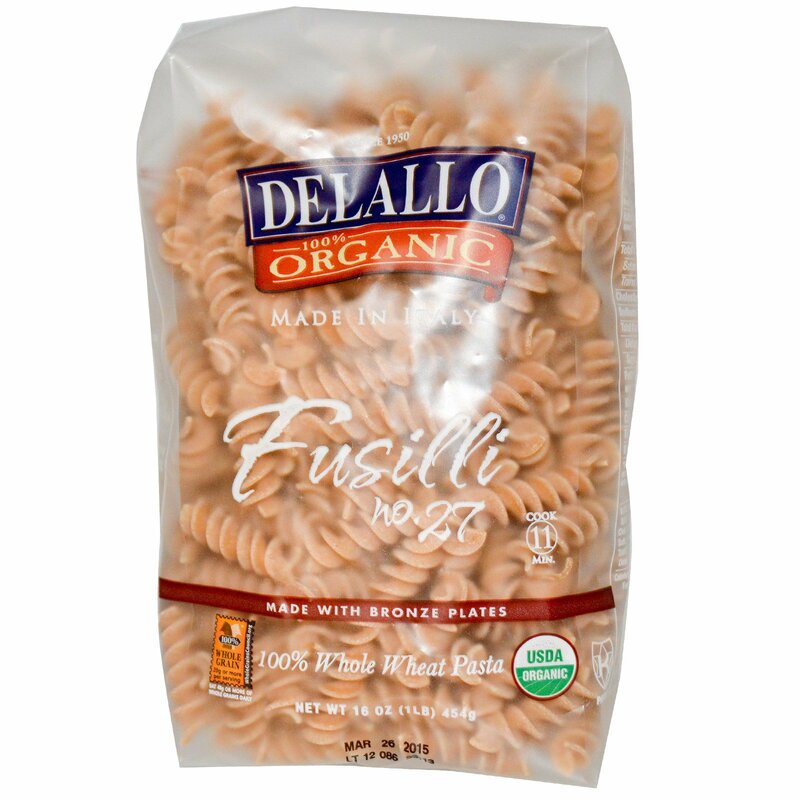 A "spindle"-shaped pasta, fusilli's tight springs pair with both lighter sauces and heartier meat sauces that will hug to its curves. Before pasta, add approx. 1/4 cup salt, never oil. Once boiling, remove lid, stirring occasionally to prevent sticking. Cook for approx. 11 minutes. For all-based sauces, adding pasta water smoothes & loosens sauce to help coat pasta.